Officials broke ground on the new A220 aircraft manufacturing facility. Gov. Kay Ivey joined leaders of Airbus, top local officials and others at the Mobile Aeroplex at Brookley Jan. 16 for a groundbreaking ceremony to launch construction of the company's new A220 aircraft manufacturing facility. 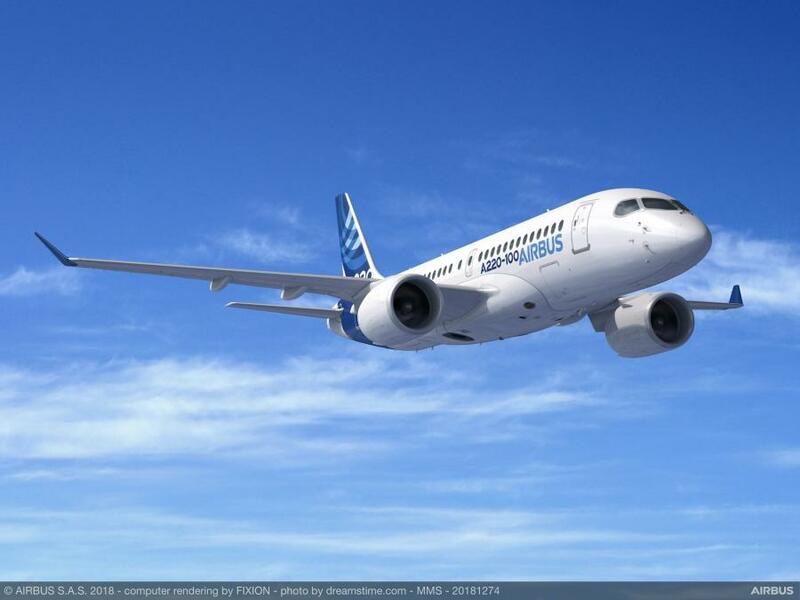 The assembly line will help satisfy U.S. demand for the A220 aircraft, the newest offering in Airbus' commercial aircraft product line, and create more than 400 full-time jobs in Mobile. "This is a great day for Mobile and for Alabama," Ivey said. "Airbus' growth plans will not only create new jobs for Alabamians but also strengthen the bonds that have developed between the global aerospace company and our state. Alabama has a long history in flight and, as this project shows, a bright future in the aviation industry." Airbus CEO Tom Enders welcomed attendees including Airbus and other industry executives, Airbus employees, state and national dignitaries, and local community leaders. Airbus manufactures A320 Family aircraft in Mobile, as well as helicopters and satellites elsewhere in the United States. It also operates an engineering center in Mobile. "Our partnerships are growing again with the addition of an A220 manufacturing facility that will employ some 400 more employees at full rate," Knittel said. The new assembly line, which is the company's second U.S.-based commercial aircraft production facility, will be located at the Mobile Aeroplex at Brookley adjacent to the A320 Family production line and will facilitate assembly of A220-100 and A220-300 aircraft for U.S. customers. Aircraft production is planned to begin in third quarter of 2019, with first delivery of a Mobile-assembled A220 aircraft scheduled for 2020. The new A220 production facilities will be complete by next year.